A while ago, Facebook made some changes to its newsfeed. They now put posts from friends and family on top. Posts from companies (like Demoucelle) only come much later in the newsfeed. With the risk that you won’t see these posts anymore. You like to be inspired? You appreciate getting ‘food for thought’? You are an ‘eternal learner’ and love to get tips and tricks on how to get the best out of yourself and others? 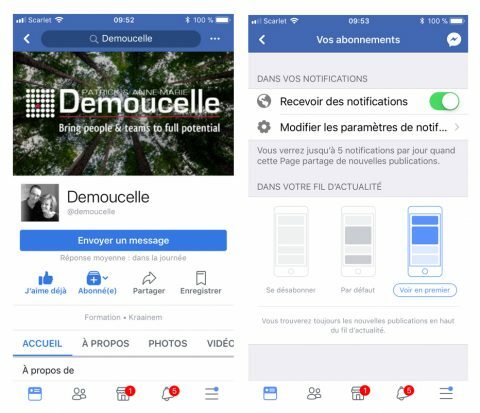 Step 1: Go to the Facebook page of Demoucelle. 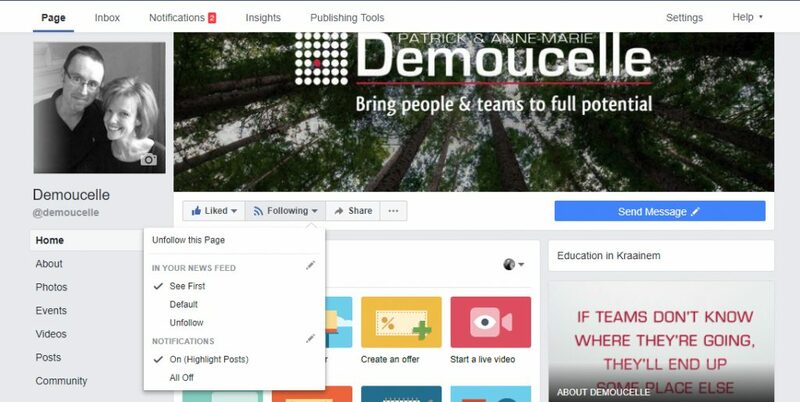 Step 1: Go to the Facebook page of Demoucelle. Click on “Following” (Abonné/Volgend). Step 2: You will arrive on the page “Your subscriptions”. At the bottom of this page, select the option “See First”.